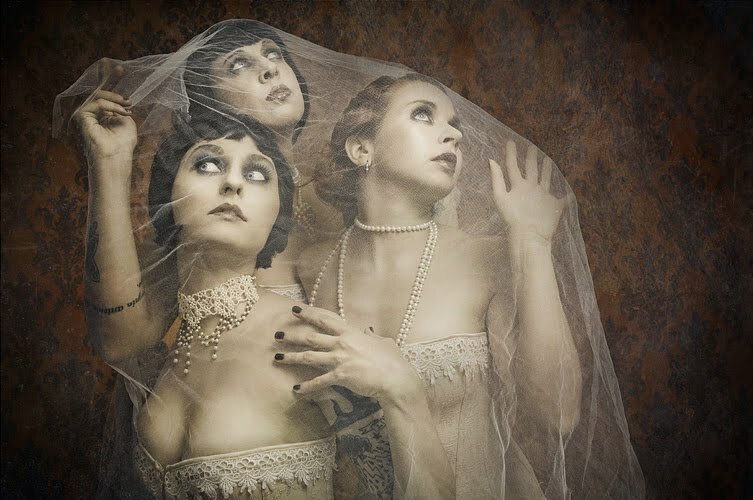 The ghosts of Jackie O'Lantern, Vera De Vil and Tinker Bell by Marko Saari. Make up and hair by Liina Junna. You can see more pictures from the shoot over at the Itty-Bitty Tease blog! 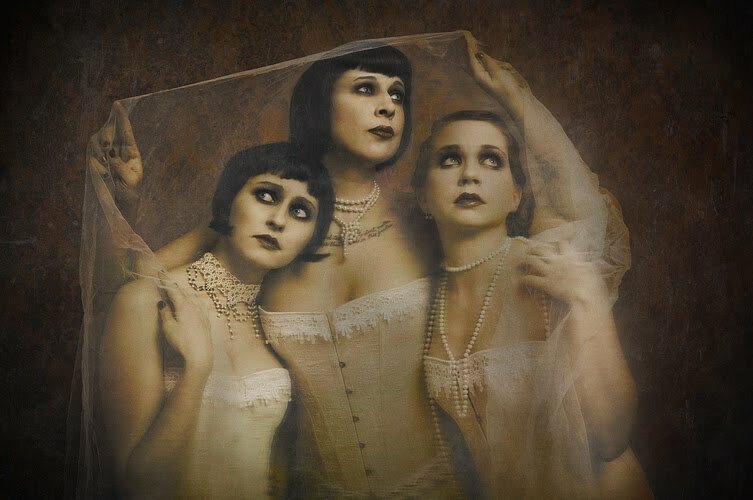 Great photos and incredible corsets. What amazing pics! Thanks for sharing. Whoa those are fantastic! And would beautiful outfits. I love theese! Fantastic idea! I love these, they remind me of Edward Gorey cartoons - do you know if he was an inspiration?